Whether you’re getting married in a church or outdoors, a long wedding veil adds just the right touch of drama. 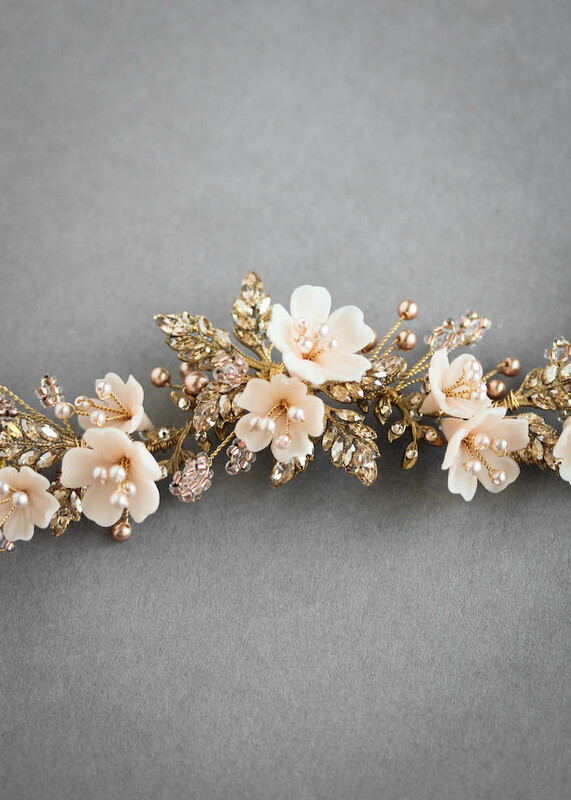 It’s the ultimate wedding accessory to leave a lasting impression and exudes timeless appeal like no other. We love wedding veils of all lengths and styles but the longer lengths can completely transform your wedding look. So you might be wondering what do we consider when recommending a long wedding veil to our brides? Great question! 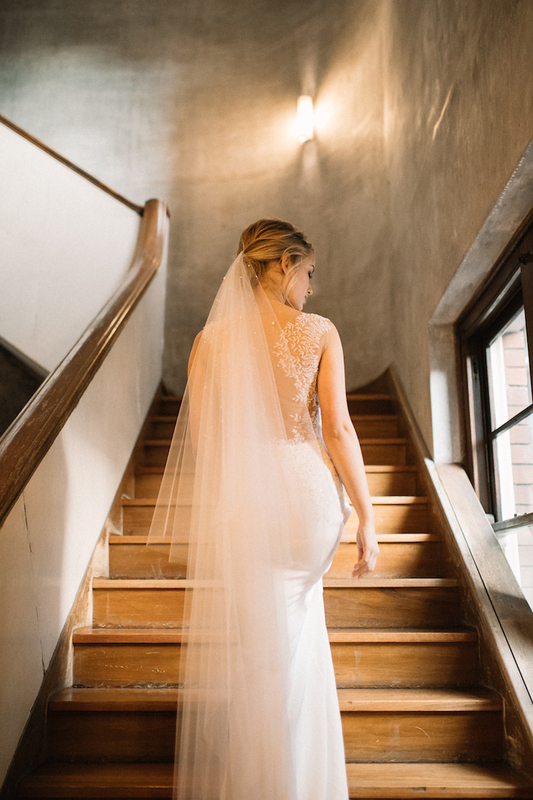 Floor length, chapel veil or cathedral veil? As you can appreciate, a ‘long’ wedding veil is a relative term. How long is long? What’s long for one bride may barely touch the floor for another. Then there’s the added complexity of the length and width of the train on your dress. After a quick browse online, you may have discovered that floor length veils can vary between 180cm-240cm depending on the designer or stockist, with chapel lengths varying from 230cm to 280cm and cathedral lengths varying between 300cm to to 365cm. Royal cathedral veil – 455cm or 180 inches. When styling our brides, we want you to channel your inner royal, rather than be swamped in fabric with no way out. Our wedding veils are made to order so we are able to customise the length of our veils to suit your height, heel height and the length and width of your train. If your wedding will be outdoors or if you have a short wedding aisle, choosing the right length will be really important. It’s worth taking a measurement to find your ideal length. Grab yourself a measuring tape and wear your wedding shoes, if you have them handy. Start the tape where the top of the veil will sit. If you’re wearing a mantilla style veil, that will be at the top of your head. 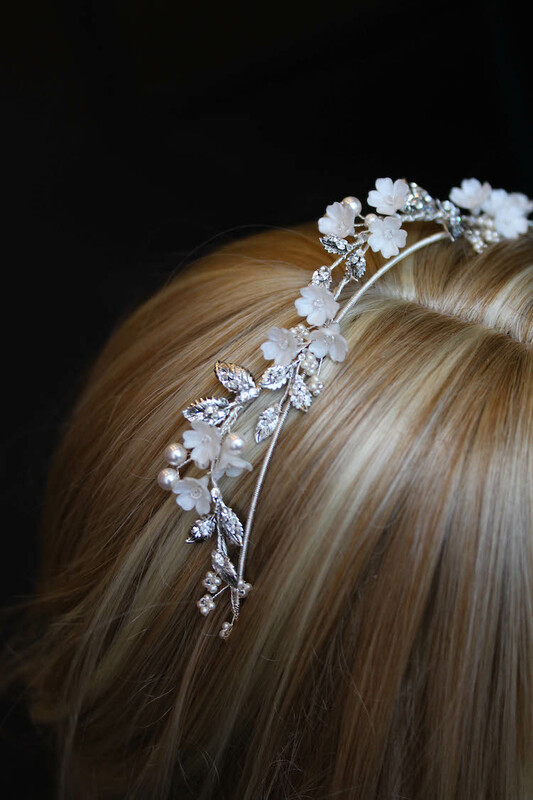 A veil comb will depend of your hairstyle – usually they’re worn at the crown, under or below you updo. Now let go of that tape and measure roughly where you would like that train to end. It can be hard to find long tape measures. Try using a long piece of ribbon. You can then measure this in sections. Our made to order mandate means we can design your veil your way – whether you love to have it pooling a little on the ground, or not quite reaching it. The floor length veil is your introduction to long wedding veils. As the name suggests, a floor length veil is designed to gracefully touch the floor and is ideal for sheath or fitted wedding dresses without a train. We love to suggest a floor length veil for more casual weddings or for brides who want to wear their veil all day and all night – including for the bridal waltz. Our made to order mandate means we can design your veil your way – whether you love to have it pooling a little on the ground, or not quite reaching it. It’s up to you! A beautifully versatile length, we love the chapel veil for its timeless beauty. A beautifully versatile length, we love the chapel veil for its timeless beauty. A chapel veil complements a wide range of wedding dresses, from ballroom gowns to dazzling red carpet worthy dresses. For the vertically challenged brides, we find that veils that create a little puddle on the floor elongate the silhouette which always looks incredible. If you want to make a statement, this is your go-to veil. The cathedral veil is little grander than the versatile chapel veil and is best suited for cathedral and church weddings with long aisles. If you want to make a statement, this is your go-to veil. Some useful advice to know is that longer veils are often wider too. So bare in mind the potential proportions of your veil to your dress. This fabulous length looks amazing for medium to taller brides with a very long runway to walk down. Lastly, we have the ever glorious royal cathedral length veil. Measuring anywhere from 4 metres plus, this fabulous length looks amazing for medium to taller brides with a very long runway to walk down. Who could ever forget our very own Australian, Princess Mary of Denmark and that stunning wedding dress and veil? There are thousands of wedding dresses out there and it’s no wonder finding the perfect veil can be difficult. What you find on the rack in bridal boutiques may not be the right length, width or colour for your dress. A custom made veil or bridal headpiece might be just the thing for you. We work with brides worldwide to design and create their wedding veils taking into account their wedding dress, hairstyle, height and venues. Feel free to send us an email with photos of your bridal look and we’d be happy to get back to you with ideas on how your favourite veil can be customised to suit you.